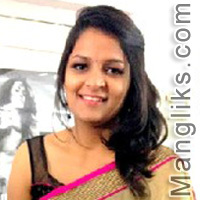 Ankita can be described as confident, caring and an ambitious person. Born and brought up in Delhi, she completed Bachelor of Technology and currently works as an Engineer with a reputed private company. Always wanting to become better in what she does, and being the generally caring person that she is, makes me unbelievably proud. We can say that, she is a good blend of modern and traditional cultures. In leisure, watching movies, reading and travelling are some of her hobbies. Ankita is quite flexible and accommodating in nature who can adapt to situation well. Ours is a close-knit and cultured family. I, her father, am working as a General Manager (Finance) with a reputed private company and my wife is a homemaker. Our elder son has completed electrical engineering from IIT Roorkee, and is currently working in Gurgaon. We are looking for someone who can stand alongside my daughter in all the ups and downs of life. He should be professionally qualified, well established in his career and hails from a good family background. Most important, he should be supportive of my daughter in all endeavors of life. Preference will be given to prospects from Delhi/NCR.